Someone built a web page which for adopt a Chinese blog.Because since April 2005,when the law on non-profit website registration became effective, website owners are required to submit their real personal information when they register their websites. The annual registration process as well as hefty penalty for failure in compliance have angered many website owners that use an independent virtual server and domain names. How Chinese blogers can do? 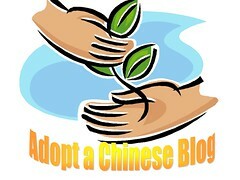 shut down or move their blogs to oversea?Adopt A Chinese Blog built this web page for helps someone whom Chinese blogs put their blogs on safe web space,and it also looking for someone whom like offer free blog space for Chinese blogers.